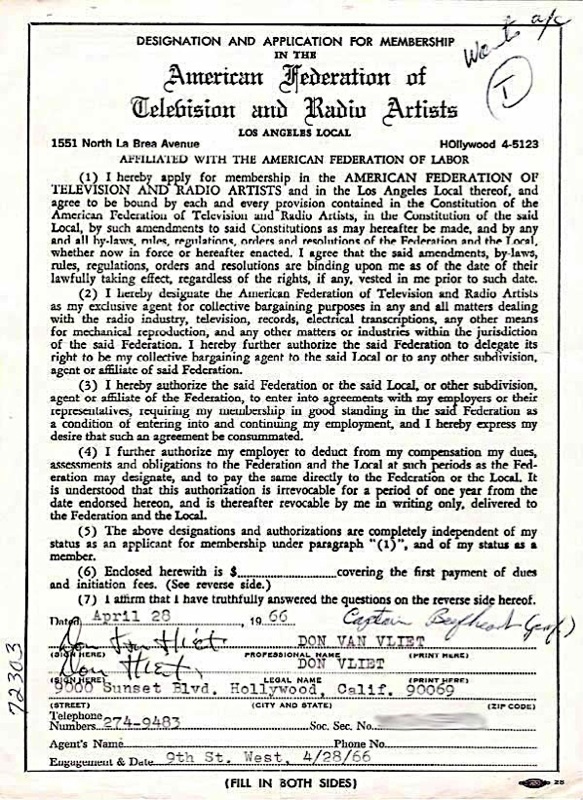 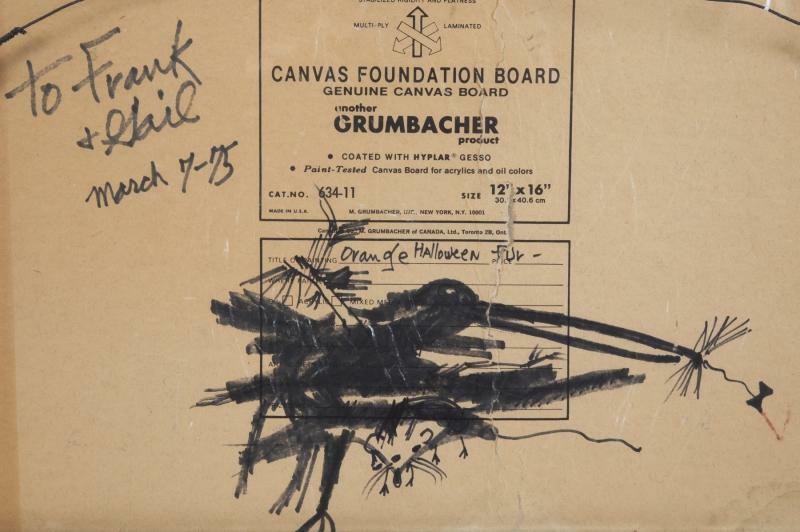 Here's a picture of the 1966 American Federation of Television/Radio Artists union agreement for Captain Beefheart, signed with both his professional name Don Van Vliet and his legal name, Don Vliet. 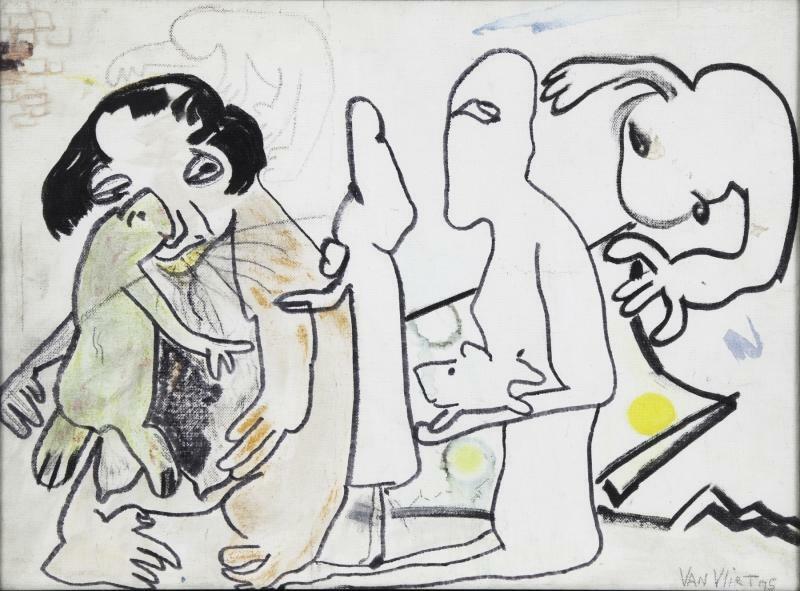 Offered for sale on ebay in 2009. 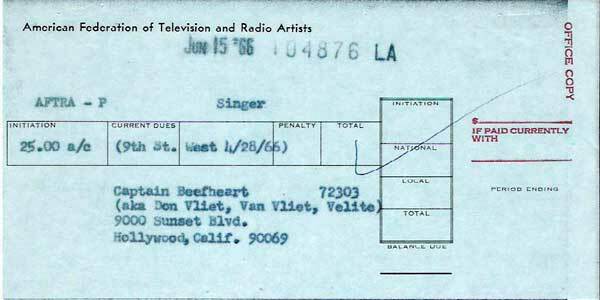 Also included the union receipt. 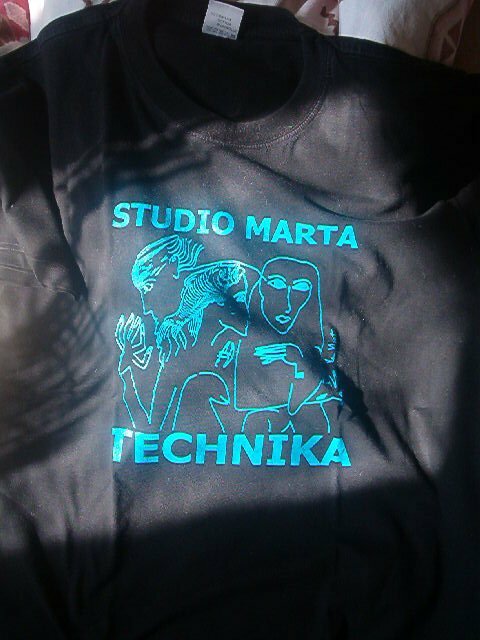 on the right is a picture of a t-shirt that was used for the "Studio Marta" school theater technicians in Brno in the Czech Republic.